I’m traveling this week, so I thought it would be appropriate to share some of my favorite bloggers’ travel posts. Matt & Daniel of the resumé gap are bona fide globe trotters and excellent picture takers. Last summer, they proved it spending Three Weeks in Hungary, Zagreb, and Slovenia. What’s a Zagreb? A different Matt @ Distilled Dollar pulled off a 10 Day Hawaii Trip for Under $1,800. More than half of that was spent on food. Better than a poke in the eye with a sharp stick. Mmmm… poke. Another guy went to Hawaii on a dime — Mr. Tako. The multimillionaire breaks down his trip into three frugalicious parts. Who else has been to Hawaii? Besides me? 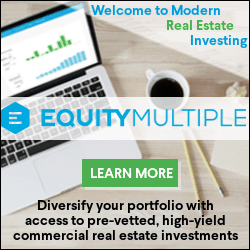 The White Coat Investor dishes on trips to Hawaii, France, and other not-so-frugal expenditures in Loosening the Purse Strings Part 2. France! That’s where we are at the moment. The Go Curry Cracker family will follow in our footsteps in a couple weeks. Unlike us, they plan to stay for four months or more. To Europe and Back Again. I can’t hardly wait to slow travel. Is that an oxymoron? Justin @ Root of Good and his family of five don’t have to wait. They’ve been there, done that, and written about it. The Cost of Seven Weeks in Mexico (and How to Minimize It). Bruno (a Toyota 4Runner) was traveling through Mexico on the way back from Costa Rica and decided to take a detour. Bruno’s owners explain in words and many pictures how We never Planned to Go to Mexico City, and why they’re glad they did. How do these guys and gals travel for so little? Travel hacking plays a role and it doesn’t have to be complicated. The Frugal Vagabond, founder of The Earth Awaits, explains Braindead Easy Travel Hacking. Mr. Crazy Kicks and his bride know how to travel hack. How does nine days in Jamaica for the cost of a sharp stick? How to Travel Hack a $6,000 Vacation for Free. We’re having a swell vacation ourselves. 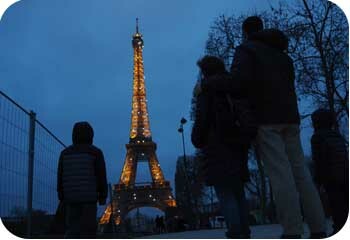 There’s so much to see and do here in Paris that a one-week vacation seems completely insane. As I said above, I severely look forward to the time where we can just take our time in a place like this. But we’re not slow travelers yet. We’re fast travelers. In two and a half days, we’ve seen all kinds of cool stuff and become very accustomed to the Metro lines. Our boys have adjusted to the time change and city life much better than I could have imagined. We found a great source for fresh baguettes, great goat and vache cheeses and all sorts of affordable goodies at a market called Market. A sixer of Leffe Triple goes for €5.40, and a two-foot-long baguette is €0.55. I think I could last here. We’ve been having some fun, too. 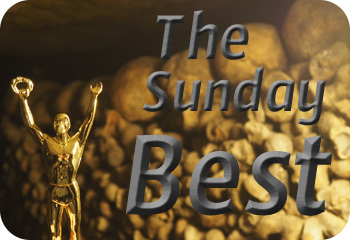 I dragged the Sunday Best trophy down into the Catacombs (see featured image above), which is an amazing, sacred place. We saw the Mona Lisa, Venus de Milo, and about a thousand paintings at the Louvre. There were artifacts galore and more statues than you could possibly emulate. Our boys did their best, and here’s one of the best. The boys aren’t quite college age yet, but I think they’ll be college material. We talked about the benefits of studying abroad while walking around the Pierre & Marie Curie University. We ate €1 crepes that were offered up as a fundraiser by a group of students heading to Boston for some sort of biological engineering competition. 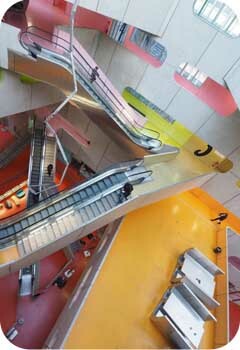 We also toured the colorful student union where I captured this shot. And of course, we’ve been down to see the Eiffel Tower. We haven’t been up it (yet) as the tickets are sold out online and the wait looked insurmountable after enduring 2.5 hours earlier the same morning to get down to see the Catacombs. We did hang around long enough to see it all lit up and sparkly. We’ve got two more days to do some sightseeing. Sunday kicks off with mass at Notre Dame — the real one, not the Touchdown Jesus one — where our older son will take his first communion. Our little troopers don’t know it yet, but they’ll be rewarded for humoring us at all these museum and attractions with a trip to Disneyland Paris on Tuesday. Your boys are so cute! Model status!!! 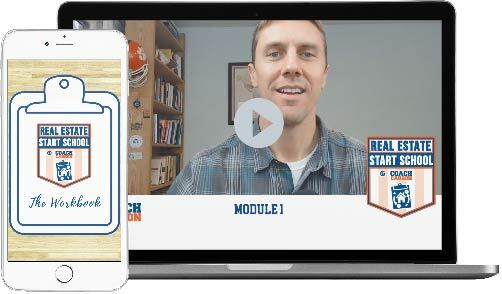 Do you think you will teach them about ways to make money online? I was hanging out with my 11 year old sister and we made a youtube channel. She was very interested and was happy to do it..
A Youtube channel, eh? Sounds like fun! Eventually, they’ll know I have this website, so they’ll be learning about online entrepreneurship as a result. Hopefully they’ll learn a lot more from the site’s content someday, too. I love the food in France. I hope you guys are having a great time! Sounds like the PoF family is having a wonderful time. The statue photo with the boys is so cute. If you have the time, the Rodin museum is great for outdoor statue photos, and the lines are not so daunting. Thanks, Vagabond #1! Tempted to hit up the Rodin to see the Thinker and more, but we may have maxed the boys out on museums. It’s definitely on the list for next time, and I know there will be a next time. Enjoy Costa Rica with the exotic monkeys, sloths, and rather ordinary looking raccoons. Chocolate belongs in every meal, without a doubt. p.s. More travel articles coming next Sunday, along with a few money articles. First communion at Notre Dame, what a lifelong memory! Thank you for sharing these articles. I previously read and bookmarked Frugal Vagabond’s, which I believe was written just for me. I plan to soak in the others with my second cup of coffee this morning. Please keep the photos coming! I’ve got photos of his first communion, so look for that to be posted soon — maybe next week? Maybe right here if I find time. The priest didn’t seem to sure he was old enough / properly prepared, but after a little confusion, he put bread to tongue. Glad you found something useful in these. I always do. Have a good time and a safe trip! Make me want to take another trip back to France again. You got a great deal on those baguettes. I believe that the country has a fixed price on the bulk of those, and they were going for closer to $0.80+ euros in most places. No kidding, price fixed? That may have been lifted, but I haven’t looked into it. We did pay 1.20 today, and the Carrefour Market that we found has them for .55 or .77 depending on size. I wouldn’t say you’re settling, FP. You should have a great time. We celebrated my fortieth birthday there on Vieques Island, kayaking the world’s brightest bioluminescent bay. Also drove the ring road perimeter around all of Puerto Rico. Hopefully Arecibo is open to the public now. It was closed for renovation. Bring mosquito spray and use judiciously. They’re small but everywhere. Thanks for the heads up. As irony would have it, we are actually going to Vieques Island for my wife’s 40th birthday! I can’t wait. We are also doing the kayaking trip. Crazy coincidence! We stayed in Esperanza at El Blok and had steaks on my birthday. Loved every part of it. The happy hour fish tacos at Bananas were fantastic! Say hi to Pittsburgh Joe if you run into him. He frequents the little strip there. Ahhhh. Work has been killer lately so naturally my mind has been wandering to distant locales. 🙂 Mr. Picky Pincher and I do plan to visit Belgium once we pay off our student loans, but I would love to go to a nice tropical beach. Thanks for the list of nice travel hacks! Belgian beers are the bomb! Of course, they have some of them here in Paris — not as many as you would think, though. Cheers and good luck with those student loans! Thank you for the kind mention! I wish I was in Paris right now– I lived and worked there for almost a year then I got out of school, and it remains my favorite city in the world. 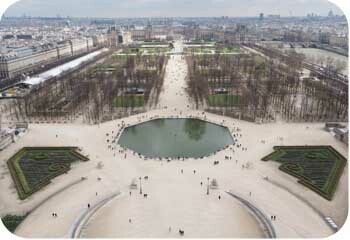 My wife and I got engaged there, in a little park near Sacre Coeur. Happy memories, and a place to which we’ll always return no matter how far we roam. I am sure that the experience of your son’s first communion in Notre Dame will make for a lifelong memory! What an awesome opportunity! No kidding? That would be pretty spectacular. We took the stairs up to Sacre Couer yesterday, then rode the gondola down. I would have done it in reverse if I had known the gondola existed. The churches here are out of this world. Thanks for the mention! We just got back from our trip, and I miss the Carribean already. Sounds like you’re having a killer time in France. Enjoy those Leffes, cheeses, and baguettes! Welcome home, MCK! We’re enjoying the heck out of them. We pack tasty sandwiches to go every morning. Ham, salami, chorizo, and cheese. Wow, looks like an awesome trip PoF. I hear the lines at the Louvre are crazy-batsh*t-insane. Probably worth it though, there’s some really fine art at the Louvre. Oh, and thanks for the mention in this week’s Sunday Best! The lines at the Louvre were nothing. 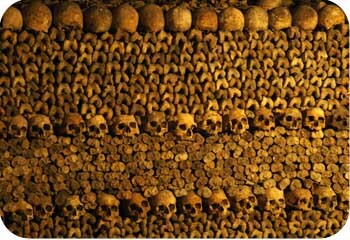 But I pity the fool that thinks you can just walk right up to the Catacombs and get in. We were there right at opening time and it was a 2.5 hour wait. Paris was awesome. One of our favorite things to do was hang out by the Eiffel Tower at night with a bottle of wine and wait for the lights to come on. We also took a day trip to Normandy which is a must do in my opinion. Would love to go back and check out the French countryside next time. I get the same feeling here that I get pretty much anywhere I go. We need to come back when we have a lot more time. It also makes me wonder I should aim for a higher number before giving up the lucrative career… conflicting ideas. I’m with you on conflicting ideas when it comes to giving up a lucrative career. I know the one more year syndrome will likely hit me hard. Ah sweet Paris. Glad you made it and enjoy the trip! If it fits with your schedule, try to make a trip out to Versailles. It’s not too far from the city center and was one of my favorite parts of Paris. The Hall of Mirrors is beyond impressive. Once you get past the all the ornate details, it’s crazy to think about how many creature comforts we take for granted today. Even modest means today provides a better life than one of the richest people in the world had just a few centuries before. Really puts things in perspective. You make an excellent point. I think about our modern creature comforts like frequent hot showers, carmex, tums, mosquito spray, etc… that I take for granted but would be miserable without. I had Versailles tentatively planned for today, but realized a couple days ago that it’s shut down on Mondays. Instead, we went up the Eiffel Tower, up the Arc de Triomphe, and down into the sewers (another modern convenience I’m grateful for). Enjoyed the various blogs highlighting traveling. I hope to do more of that in retirement. Being a military family, we try to explore the areas where we are stationed for 2-3 years, currently living in CA for the first time. Homeschooling the kids (which my wife decided to do after much thought and research) makes it easier to fit in vacations off season. We recently hit San Francisco and Sequoia National Forest (now the proud owner of snow chains for our van). Reading RootofGood’s posts make me aware we are closer to FI than I thought, we will likely retire in NC. It is great to see you can live off a very reasonable retirement and still travel a lot. haha, love the “strike a pose” photos! Slow travel is probably my #1 goal in retirement. The #2 goal is to just do whatever I want!